● Visit the Clearance Rack page to receive as much as 75% savings on featured items. ● Shop the Flavor of the Week to receive up to 30% in discounts on featured items. ● Sign up for the Points & Rewards Program to earn points that can be redeemed for discounts on your orders. You get one VOLCANO point for every $4 you spend, and a $1 discount for every 5 VOLCANO points you accumulate. Additionally, you can receive 25 points when you refer a friend. See the site for details. ● Sign up for the email newsletter to receive exclusive coupon codes like 10% off your order, up to $99 off your order when you reach the minimum purchase amount, or up to 25% off select items. ● The company offers two free shipping deals within the United States: orders over $50 qualify for USPS priority shipping and orders over $100 qualify for FedEx 2Day shipping. See the Shipping section for details. 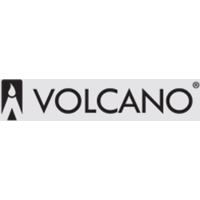 Volcano is an e-cigarette/vaporizer company with a wide variety of products to consider. You will find a large assortment of devices, e-liquids, tanks, coils, RBAs, and vape accessories. Whether you are an experience vape fan who knows what they are looking for in replacement parts of e-liquids, or if you are a newcomer looking for a starter kit, there are a variety of possibilities to shop for and purchase. You can shop according to popular brands like Aspire, Eleaf, Joyetech, Kangertech, and Pioneer4U. Some of the accessories available for purchase at the Volcano store include build tools, batteries and chargers, drip tips, and more. There are even some apparel products available. For most up to date offers check out Volcano Ecigs on Facebook and Twitter or contact Volcano Ecigs Support for any questions.